Off-Broadway's Irish Repertory Theatre launches its 25th Anniversary Season with Brian Friel's THE FREEDOM OF THE CITY – with previews set to begin October 3, prior to an official press opening October 14 on the Irish Repertory's Francis J. Greenburger Mainstage (132 West 22nd Street). 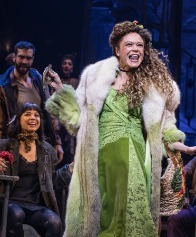 Performances are set to run through November 25. Ciarán O'Reilly directs. Director Ciarán O'Reilly helmed the company's recent productions of Eugene O'Neill's BEYOND THE HORIZON and THE EMPEROR JONES (Joseph A Callaway Award winner for Direction; Lucille Lortel, Drama Desk, Drama League, and Audelco nominations). As an actor, he co-starred in Irish Repertory's 2011 revivals of Brian Friel's DANCING AT LUGHNASA and MOLLY SWEENEY. 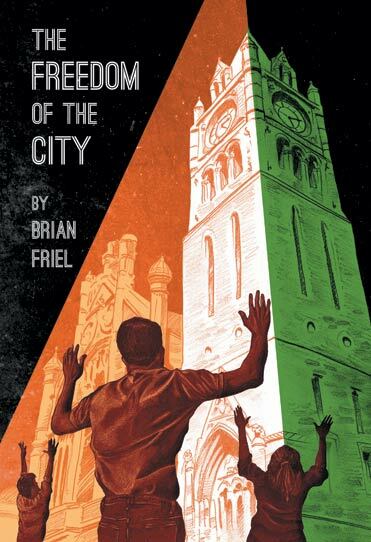 Set in Derry, Northern Ireland during the aftermath of a civil rights meeting, THE FREEDOM OF THE CITY revolves around an inquiry into the shooting by British soldiers of three marchers as they emerged from the Guildhall. 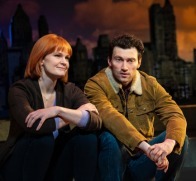 As the inquiry continues, with testimony from 'expert' witnesses, the play relives the real events that led to its institution. When the police disrupt the peaceful protest, three unarmed strangers, Lily, a middle-aged mother of 11, and Michael and Skinner, two young men, take refuge from the streets and find themselves inexplicably in the Mayor's Parlor. As the three settle in to the Lord Mayor's opulent office, word spreads about the "occupation" of the Guildhall. The motley trio is transformed into a band of armed and desperate terrorists, a fiction that is taken up by the church, the media, the army, and nationalist balladeers, all of whom use the myth for their own diverse ends. THE FREEDOM OF THE CITY features Cara Seymour (Mike Leigh's ECSTASY and GOOSE-PIMPLES, Noel Coward's PRESENT LAUGHTER) as Lily; Joseph Sikora (THE CAINE MUTINY COURT-MARTIAL, "Boardwalk Empire") as Skinner; and James Russell (CTV's hit series "Comedy Inc.") as Michael; with Ciarán Byrne; Clark Carmichael; Christa Scott-Reed; John C. Vennema (THE CRIPPLE OF INISHMAAN, BELLS ARE RINGING) as Judge; Craig Wroe; and Evan Zes (MAN AND SUPERMAN).